Grantland has made an art out of handing out a proverbial wrestling-style “Championship Belt” over time in several fields – they’ve done it for quarterbacks, NFL defenses, and even American rock bands. The idea is that at any given point in time only one QB or defense or band can hold the championship belt, and the belt is up for grabs anew every year. Where no one has yet to take this concept, at least as far as the cursory Google searches I’ve made have shown, is to the world of pop music. So here we go. The goal here is to crown the objectively biggest pop star in the US at any given point in time. In theory, if you were to ask a large number of pop music-attuned people in a given year, this should be the person who would receive the most votes. Solo artist, duo, group, it doesn’t matter; they’re all equally eligible. Charts matter – this is, after all, ultimately a popularity contest, and the charts are the single biggest way to establish popularity, especially when I’m picking between artists in years before I have personal experience. While the artist doesn’t need to have topped the charts in the calendar year, it helps, and it’s virtually impossible to hold the belt without at least a couple of top five hits. History and reputation matters – we’re trying to answer the question of who would be identified as the biggest pop star in the country at any given time, so even artists who have mammoth rookie years are unlikely (though certainly not unable) to be considered the biggest without some semblance of longevity. For example, even though Iggy Azalea may have had the biggest year in pop music in 2014, no one would consider her the biggest pop star in the country, and the fact she has just a year of success is a significant part of that. Critics don’t matter – This is a commercial list; critics only matter in as much as they contribute to the aura and reputation that might translate indirectly into popularity. The belt changes hands every calendar year. This is an entirely arbitrary decision, as music doesn’t work seasonally like sports, but we need to make an arbitrary cut off somewhere, because a month-by-month review would at least double this already ridiculously long piece. This does unfortunately screw over some artists who might have ruled over some summer-to-summer periods, and I’ll try to note a few, but them’s the breaks. We start at 1956. 1955 is traditionally considered the dawn of the rock era, but to be frank, I had no idea what to do with that year so I just started with the much more obvious belt year of 1956. Some years were blindingly obvious, some years were incredibly tough and resulted in me virtually tossing a coin in my head. Especially in the earlier years it’s possible I’ve erred particularly with hindsight bias, being more likely to give the belt to the artist that seems bigger in retrospect, relative to what it may have been like at the time, but I do my best. I’ll include a shortlist of contenders for each year, to provide a ready-made platform for anyone who wants to argue with my choices. As I mentioned above, 1956, the first year Elvis appeared, was one of the easiest years in this entire exercise. 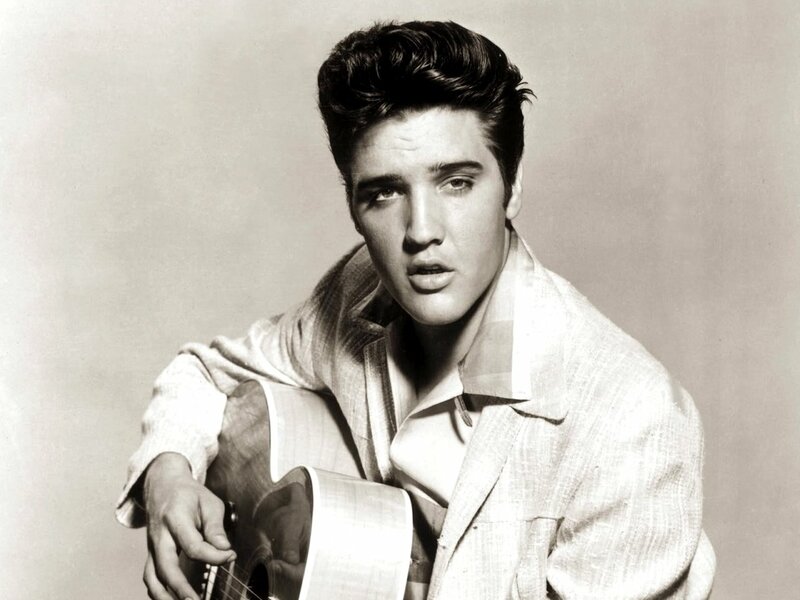 Elvis, in these early pre-British Invasion years, was a dominant chart presence, with 12#1s and 27 top tens through 1961. He was so big that the army couldn’t even stop him; during his stint from 1958-60, he had ten top 40 hits. Presley had faded significantly from the sheer mania of his first years by the end of this run, but in this era there weren’t a lot of dominant players, and fewer who lasted more than a year or two before burning out. No one stepped up and took the belt from him while he got weaker. Contenders: Frankie Avalon for a brief spell in 1959 was on top of the world; he had the looks and hit singles “Why” and “Venus.” Chubby Checker – the Twist really was that big of a deal, so big that its sequel was massive; imagine the Macarena spawning a sequel which then also hit the top 10. After years of struggling towards success, The Four Seasons broke out in a big way in 1962, and over the course of a year, sent three consecutive singles skyrocketing to the top of their charts, “Sherry,” “Big Girls Don’t Cry,” and “Walk Like a Man,” (omitting their holiday cover of “Santa Claus is Coming to Town”) along with #3 hit “Candy Girl” for good measure. Contenders: Elvis Presley was still charting hits, and though he had fallen from the stratosphere, his reputation could easily have been strong enough to carry him here; it’s hard to evaluate from this distance. The Beach Boys had a huge 1962. The Beatles absolutely owned 1964, with four #1s, which would be enough in and of itself, but they threw in a couple of number twos, a number three, and a bunch of lesser hits, as they just spewed hits at a rate not seen before or since. They outdid themselves in 1965. Five #1s. The cool, critical, and still mega-popular albums were still to come, but this is as big as they ever were chart-wise. Contenders: The Supremes were the only other act within shouting distance, with a crazy seven #1s of their own, representing Motown, the other strand of popular music to rise alongside the British Invasion. Herman’s Hermits were well too in the Beatles’ shadow to be serious contenders, but they had a strikingly big year with a couple of #1s and five additional top 10 hits. The Rolling Stones were probably the second biggest band in America, churning out many hits, and were also defined partially by their reputation as the anti-Beatles. Contenders: The Beatles. They were still, well, The Beatles, and they still pumped out a bunch of hits. The Monkees were proven a fad, collapsing in 1968, and The Beatles merely took their title back by default, in a span where “Hello Goodbye,” “Hey Jude,” “Get Back,” “Come Together,” “Let It Be,” and “The Long and Winding Road” were chart-toppers. The Beatles put out a #1 album each year with the White Album, Abbey Road, and Let It Be. Contenders: The Jackson Five killed it in 1970 with four #1s. If not for the Beatles coming apart, they would have stolen the day. The Beatles are gone, throwing the belt to the ground as they walk off into the sunset. The pop-sphere is plunged into darkness and we’re in one of our most difficult eras to crown champions. This is already a bit of a legacy pick. As mentioned above, The Jackson 5 actually killed it in 1970, with four #1s, which would have put them at the top just about any other year. The Jackson 5 didn’t have nearly as good a year in 1971, with a couple of #2s and a couple of lesser hits, but 1971 was a barren year dominated by absolutely no one, giving the Jacksons, who had replaced the Supremes as the biggest Motown act, a chance to shine. Contenders: The Carpenters. Only in the ‘70s could a group as utterly mild as The Carpenters rise to the top, but the Carpenters had three top three hits following up a strong 1970. Three Dog Night had four top 10 hits including the biggest song of the year, “Joy to the World” but it’s hard to imagine them being considered that highly. Marvin Gaye had three top 10 hits off the monumental What’s Going On. Obviously it’s a huge advantage, popularity-wise, to have been part of the biggest rock band of all time, but McCartney did not rest on his laurels. He and his band mates in Wings hit the top of the charts with “My Love”, hit #2 with James Bond theme “Live and Let Die,” and had two more top tens. Contenders: Elton John, again, who we’ll see more of momentarily, released his landmark Goodbye Yellow Brick Road album with hits “Daniel,” “Saturday Night’s Alright for Fighting,” and the title track. Part 2 an be found here and part 3 can be found here. ← Summer 2015 Review: Documentary Now!